By Domenico Giulini, Erich Joos, Claus Kiefer et al. 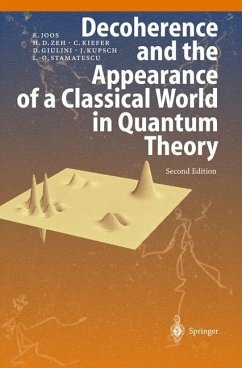 This book describes the phenomena that arise from the interaction between quantum systems and their environment. Since the first edition appeared in 1996, the concepts of decoherence have become firmly established experimentally and are now widely used in the literature. Its major consequences are the emergence of "classicality", superselection rules, the border line between microscopic and macroscopic behavior, the emergence of classical spacetime, and the appearance of quantum jumps. Most of the new developments in this rapidly evolving field are discussed in this second edition: chaos theory, quantum information, neuroscience, primordial fluctuations in cosmology, black holes and string theory, experimental tests, and interpretational issues. While the major part of the book is concerned with environmental decoherence derived from a universal Schrödinger equation, later chapters address complementary or competing approaches, such as consistent histories, open system dynamics, algebraic methods, and collapse models. 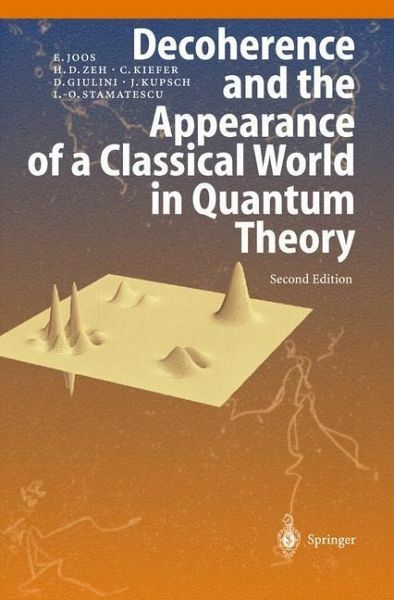 1 Introduction.- 2 Basic Concepts and Their Interpretation.- 3 Decoherence Through Interaction with the Environment.- 4 Decoherence in Quantum Field Theory and Quantum Gravity.- 5 Consistent Histories and Decoherence.- 6 Superselection Rules and Symmetries.- 7 Open Quantum Systems.- 8 Stochastic Collapse Models.- 9 Related Concepts and Methods.- A1 Equation of Motion of a Mass Point.- A2 Solutions for the Equation of Motion.- A3 Elementary Properties of Composite Systems in Quantum Mechanics.- A4 Quantum Correlations.- A5 Hamiltonian Formulation of Quantum Mechanics.- A6 Galilean Symmetry of Non-Relativistic Quantum Mechanics.- A7 Stochastic Processes.- References.